The PWD was asked to take up the challenge of construction of new 'C' block for additional court rooms and ancillary facilities. Delhi High Court 'C' Block was conceptualized having two basements & five stories, accommodating 15 Court Rooms, 9 Registrar's Courts, 16 Judge's Chambers, 9 Joint Registrar's Chambers, additional workspace for Judicial Officers, Lawyers facilities, public toilets and open seating space. The building is planned having court rooms with glass wall on common area, lift & escalators, heat recovery wheel, fresh air, digital video wall, LAN, fire fighting arrangements and latest modern facilities. The inauguration of new court block of the High Court of Delhi was done by the Hon'ble Chief Justice of India on 25.07.18. The letter of appreciation was also delivered to the E-in-C, PWD by the Chief Justice of India during a inaugural function at Vigyan Bhawan on 25.07.18. 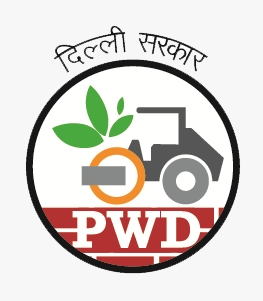 It is a matter of immense pride for the Public Works Department, Delhi.